Dream Spectrum Inc made the news this week involving the recent JP Morgan verdict. In record setting fashion, the US government levied a $2 billion fine on JP Morgan Chase for their involvement in the largest ponzi scheme in history. 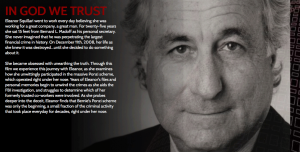 Bernie Madoff was convicted five years ago of defrauding thousands of investors in the greatest scam on record. JP Morgan served as the main housing bank for Madoff during this scheme, and were accused of turning a blind eye to apparent signs of fraud on various levels. JP Morgan Chase also agreed to pay an additional fine for the bank not adhering to its own anti-fraud policies. When Madoff was convicted in 2009, victims of the massive scam wondered how they would ever receive compensation for the loss of billions of dollars in phony investments. Then in 2013, two indie film-makers, Derek Anderson and Victor Kubick set out to produce a film to change that. Their goal was to use the film to raise social awareness in hopes of helping the victims recoup a portion of their losses. The film was called In God We Trust, and premiered on several indie theaters across the country. To market the In God We Trust, Kubick contacted Dream Spectrum Inc., based in Abilene. In addition, Dream Spectrum also assisted in building the website for the film. 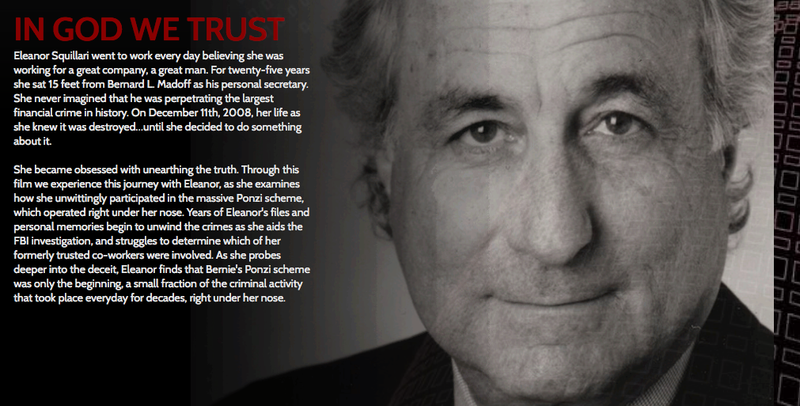 The movie documented the Bernie Madoff scam, depicting several points of view including Madoff’s personal secretary, Eleanor Squillari. Throughout the film, her experience documented how she unwittingly participated in the Ponzi scheme. The directors Anderson and Kubick worked with Dream Spectrum to take action by asking users to send letters for HR 6695. HR 6695 is legislation drafted and proposed by Rep. Scott Garrett (R-NJ). HR 6695 states that the scam was perpetrated against the Securities Investor Protection Corporation (SIPC) upon innocent investors. Penalties announced today mark not only the success of using independent media to create social good, but also marks the largest-ever Department of Justice penalty for a Bank Secrecy Act violation. Details on the verdict are found at news outlets like this one from NPR. iOS 7: Winner or Loser?